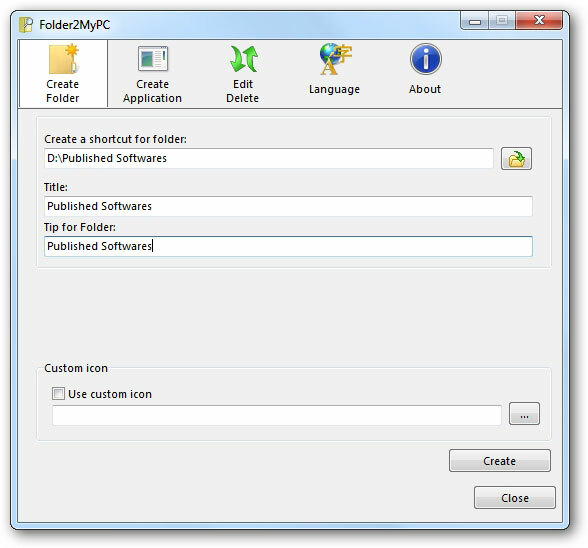 Folder2MyPC is a free tool that allows you to add any folder to Computer & any application to Control Panel & Computer. Click on the icon and browse for the file. Type the name of the application in the Title textbox. Type the tooltip of the application in the Tip textbox. Check My Computer if you want to add the application to Computer. Check Control Panel Subcategory and choose the category if you want to add the application to Control Panel. If you want don't want it to add to any category, select Do not add to any category. Check Use custom icon and browse for an icon if you want to use a custom icon. Now you will get the application in Computer & Control Panel. 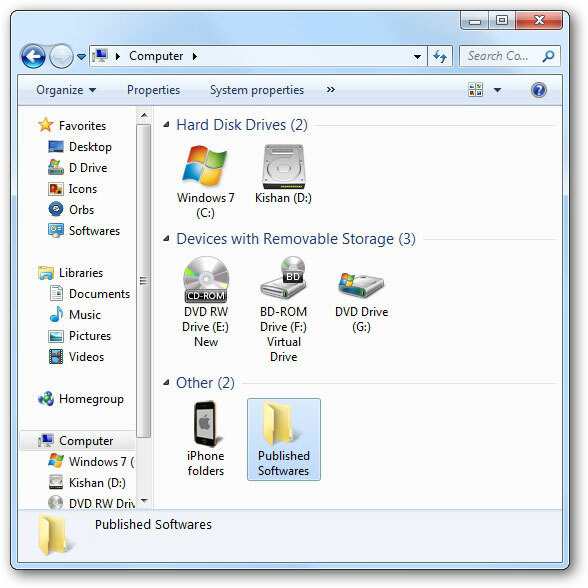 Click on the icon and browse for the folder. 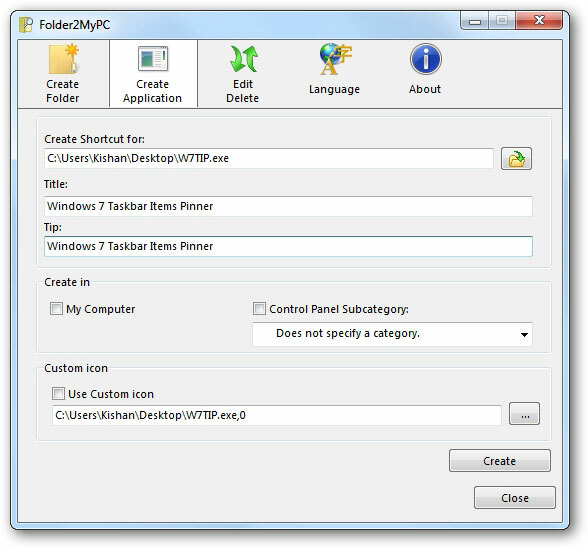 Type the name of the folder in the Title textbox. Type the tooltip of the folder in the Tip for Folder textbox. Now you will get the folder in Computer.